Simple, modern and elegant with a touch of trendy. 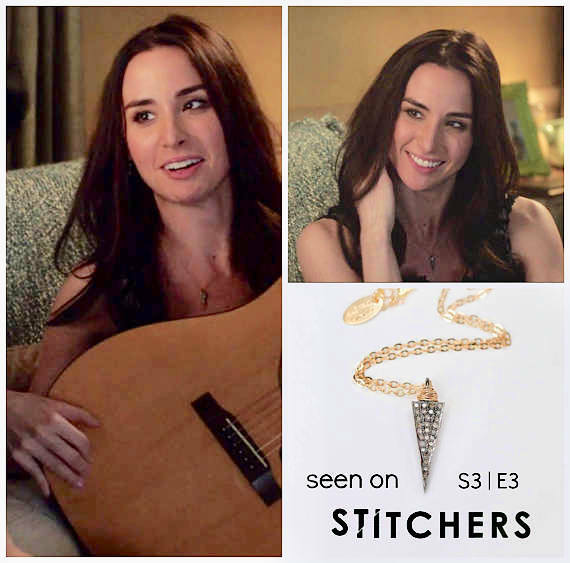 As seen on Freeform's Stitchers Season 3 episode 3 on Camille Engelson (actress Allison Scagliotti) - placement by The Artisan Group! 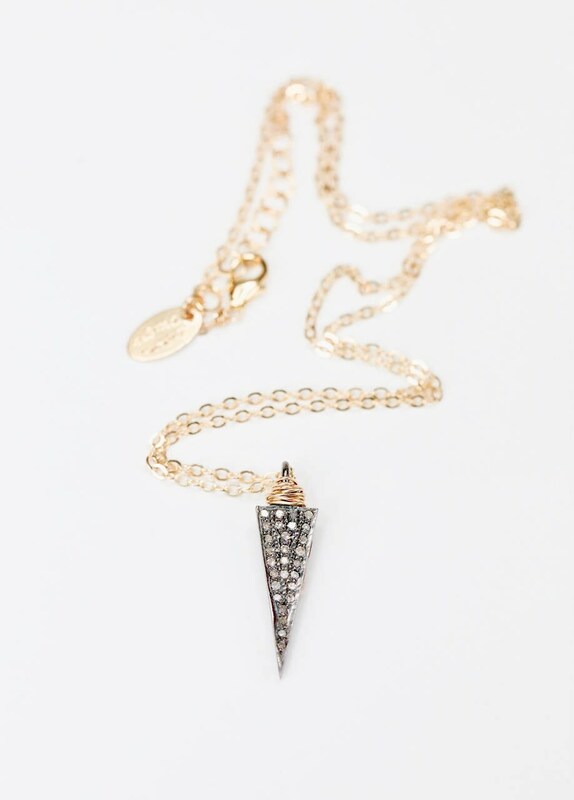 This is a gorgeous pave diamond handmade artisan wrapped arrow necklace. 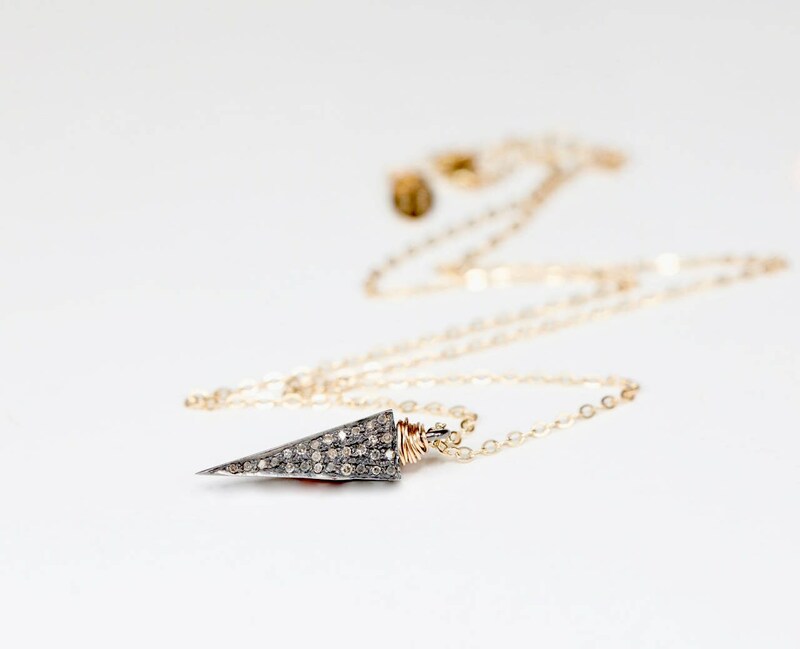 Pave champagne diamonds form a tapered arrow pendant. 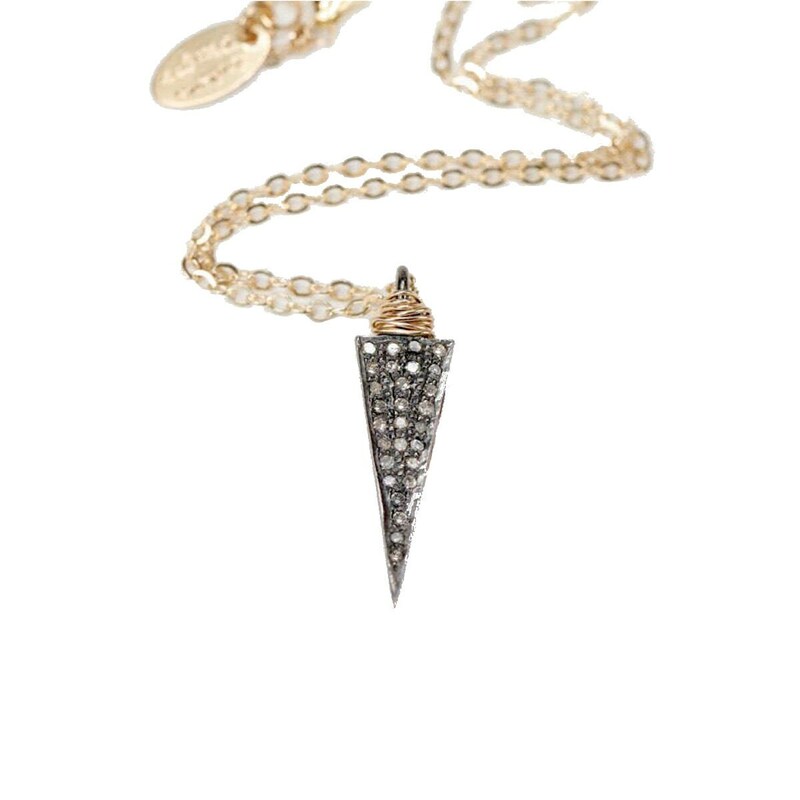 The real diamond pendant necklace has a unique look with the artisan wrapping and sits on high quality 14 karat gold dainty cable chain. 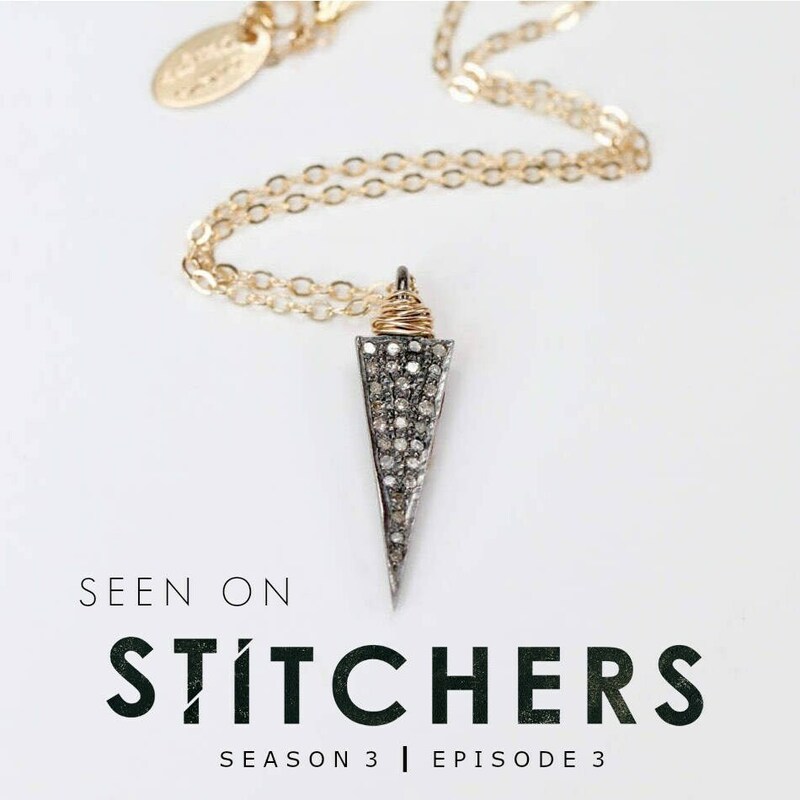 Worn on season 3, episode 3 of Stitchers by Allison Scagliotti. 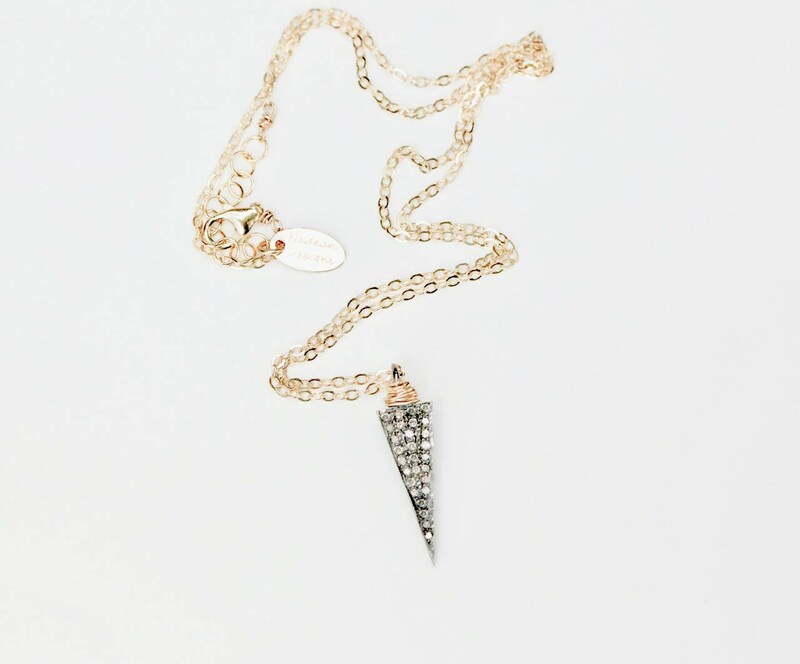 This listing is for ONE necklace only, for the others photographed in photo 5, please convo or check back soon to our diamond charm necklace section.